Looking to enroll for Tesda Call Center Training Course in the vicinity of Manila? Being one of the most in-demand short term vocational courses where graduates can immediately get a certificate plus a possible immediate job to get hired, this special course takes just 100 hours to finish in most TESDA training centers in Manila. With the current curriculum and training module made available through accredited schools and training centers, it is now easy to study and get a similar qualification for this field in the BPO industry in the Philippines. We have more training centers posted below for reference to those who intend to study this summer year onwards. 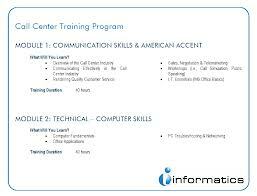 Just choose the nearest TESDA call center training most convenient for you to enroll with. Just call their hotline contact telephone numbers for further information as provided in our list of possible schools to enroll. As promised, below is our latest and complete list of the different schools and accredited training centers in Manila offering call center training for qualified high school and undergraduate college students looking to get a certificate in the BPO field and possibly get hired for the position of CSR or customer service relations (call center agent). Just call the hotline number of the school near you and ask for more details and information regarding the duration of the course, what you will need to qualify to enroll, syllabus or course coverage, scholarship and more. For provincial centers like in Cebu, please call the TESDA hotline numbers or visit the main branch located in Taguig. You may also send an email inquiry on any related TESDA call center course information as well as other trainings offered in a school near you this summer. Please take note though that all enrollment options for TESDA call center training and other available courses may depend on the number of students enrolled. Other courses may be deemed not offered or closed due to lack of students or over the quota. With respect to assessment centers and examination to get certification, you may directly inquire in a school near you. Make your own exam reviewer otherwise and take down notes while on a lecture mode. E-CONNECT INSTITUTE OF THE PHILIPPINES INC. Location Address: 1914 Dona Faustina Building, C.M. Recto, Manila. Archangels Computer Training Institute, Inc.
Asiantouch International Training Institute Inc.
Sampaloc Training Pangkabuhayan Devt. Center Inc.